Kids love to create pipe cleaner crafts (aka chenille stems!). We’ve collected over 500 ideas for using these fun materials in a wide variety of projects. Whether you are using pipe cleaners as your main supply or just as embellishments, there are so many ways to use them. We’ve listed ten ideas to get you started, or you can browse through all 500+ pipe cleaner crafts here. 1. 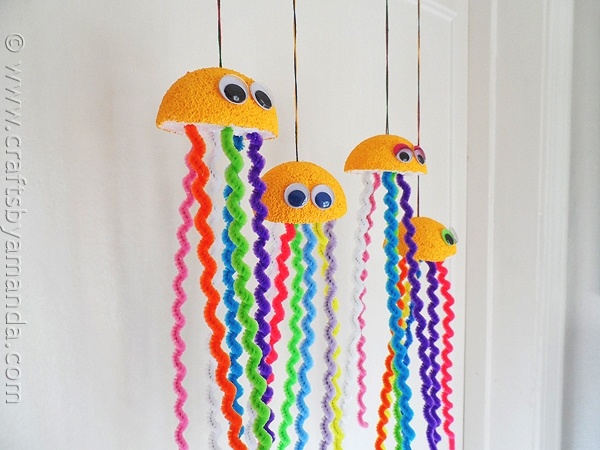 Rainbow Jellyfish – Make colorful jellyfish using pipe cleaners and foam balls. They make great decorations for an Under the Sea party. 2. 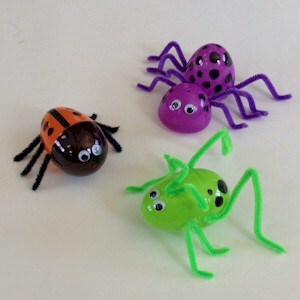 Recycled Plastic Egg Bugs – Give plastic eggs new life as bugs! Create realistic insects, or make up your own imaginary versions. 3. 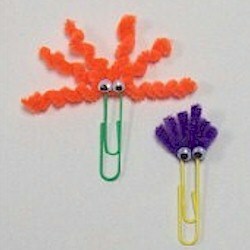 Wacky Bookmarks – Create wacky bookmarks with pipe cleaners and paper clips. These unique creations are sure to make you smile. 4. 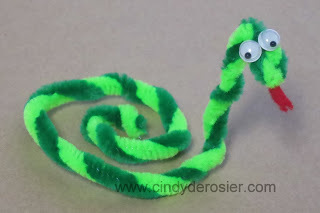 Pipe Cleaner Snake – Turn pipe cleaners, googly eyes and felt into a cute little snake. This is a fun, easy, and inexpensive craft for a group. 5. 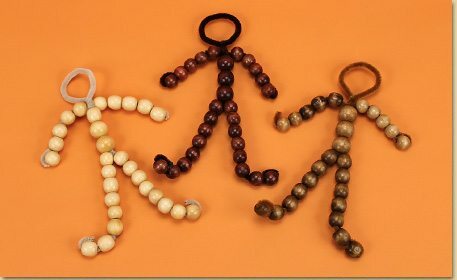 Bead People – Use pipe cleaners and beads to make figures representing people from different parts of the world. Our shade may be different, but otherwise, we are all the same. 6. 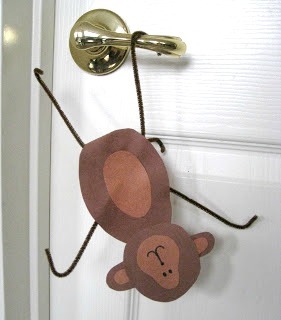 Bendable Monkey – Create a monkey using construction paper and pipe cleaners. Bend the arms and legs so it hangs just like a monkey would! 7. 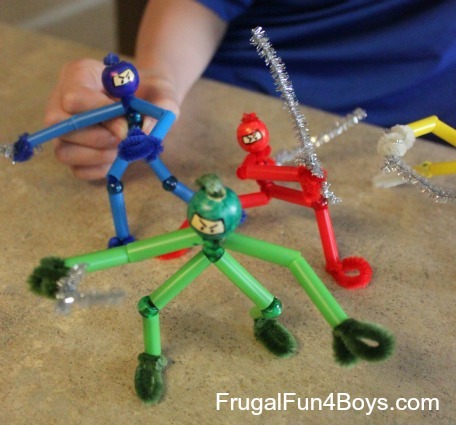 Pipe Cleaner Ninjas – These clever ninjas are as much fun to play with and pose as they are to make. They’re a great way to stretch the imagination! 8. 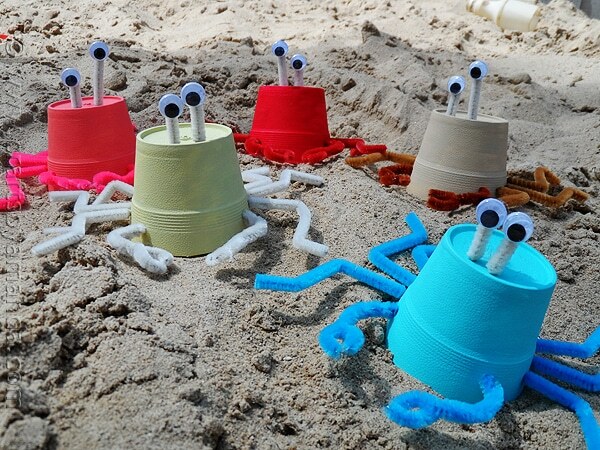 Foam Cup Crabs – These adorable crabs are made from Styrofoam coffee cups and pipe cleaners. They couldn’t be cuter. 9. 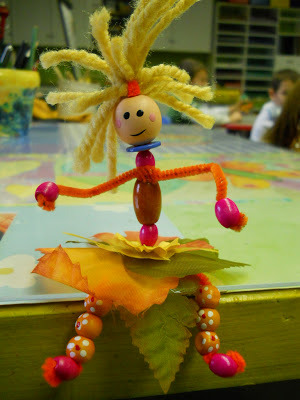 Fairies of Autumn – Stretch your creativity by making fall fairies. Try beads, pipe cleaners, yarn, silk leaves and anything else you can dream up! 10. 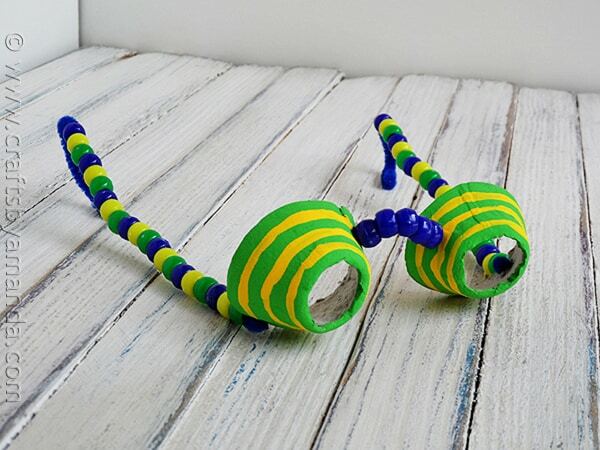 Egg Carton Spy Glasses – Use egg cartons, pipe cleaners, and pony beads to make your own spy glasses for imaginative play. What fun! 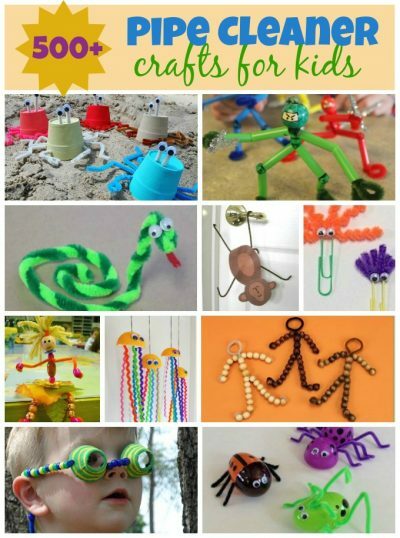 Find the rest of the pipe cleaner crafts! This is just the beginning. We have hundreds more ideas for using pipe cleaners in crafting. Check out all 500+ pipe cleaner crafts here!